Explore Quartz Countertops for Your Home Today! What was a competitively-priced countertop material option a year ago may not stay that way for long. Quartz was so competitive for a while that it took significant market share away from granite, which had reigned in the countertop world for years. Homeowners were choosing quartz over granite due to its lower maintenance, more extensive color options/designs, as well as competitive prices, just to name a few. Now, uncertainty in our country’s current trade policy may have quartz countertop suppliers juggling product availability concerns and price increases as a result of imposed tariffs on Chinese quartz. The good news is that domestic quartz is abundant, and there are high-quality selections available. India, Turkey, Brazil and several African countries are joining the quartz market. But under the current roiling uncertainty about which tariffs are coming, they too may be hit with costs that will ultimately be passed on to homeowners. One advantage in working with a design-build contractor is that they will be keeping a close eye on the quartz market to help you make a smart decision on countertop material—particularly keeping you informed on potential price increases, availability, and sourcing options, etc. 2. What Makes Quartz Countertops So Popular? Aside from price, quartz countertops have been storming the market for many other sound reasons. Quartz comes in a wide variety of colors and patterns, is easy to maintain because it’s already perma-sealed during production, and is extraordinarily durable. It has the charm and class of natural stone, even though it is engineered. Quartz countertops contain high concentrations of crushed quartz (silicon dioxide). And, in order to achieve desired colors and patterns, manufacturers of quartz add other minerals, resins, and pigments as well. Its versatility, durability, and ease of maintenance have made it extremely popular for homeowners looking for a unique countertop material in their bathrooms and kitchens. 3. Do Quartz Countertops Have Any Disadvantages? Every countertop material has its advantages and disadvantages. And for all of its durability, variety, and ease of maintenance, there is one issue homeowners need to be aware of: engineered quartz countertops are not as heat resistant as natural stone options because of the resins used to bind the natural materials and pigments together. That means you can’t just set a hot pan on the surface, nor can you set your curling iron down on it without possibly damaging the surface. So be sure to consider the type of use your countertops will encounter to decide if heat resistance is going to be a significant tipping point for you. A lot of people get these two countertop materials mixed up, so it’s important to know the distinction. As previously mentioned, quartz countertops are an engineered, manufactured stone made with natural stone components and bound together with artificial resins and colored with a wide variety of pigments. Quartzite, on the other hand, is real, natural stone. It’s a metamorphic rock designed by nature in the depths of the earth by extreme pressure and heat. Natural quartzite stone is mined in large chunks which are then measured precisely into slabs that fit in your bathroom or kitchen countertop design. Also very durable because of its origin, quartzite is polished and does need sealing. It is, however, fantastically heat resistant and comes in a beautiful variety of natural colors made by the earth itself. With all of these considerations, quartz countertops may still be your top choice for your bathroom or kitchen countertops during your remodeling project. But it’s always a good idea to know that there are other options out there that may fit your needs just as well, or better. Your options run the gamut from natural and engineered stone to wood, porcelain, sintered stone, and even recycled material options. First, ask yourself how you plan to use your countertops. If you’re a budding chef or foodie who makes frequent messes in the kitchen or forgets not to put hot pans on the countertop, another choice might be better. Balancing design and function with price and availability will lead you to the countertop material that’s right for your home remodeling project. The designers at MainStreet are experts at helping homeowners choose the perfect materials for any remodeling project, and are keeping a close watch on the market for all countertop materials, including the ever-changing quartz market. We can help homeowners with ahead-of-time orders and make educated suggestions for alternatives when appropriate. Make sure to visit our home remodeling gallery to get ideas and sign up for our newsletter for even more news, trends, and tips. If you’re ready to embark on your home remodeling project, contact us today for a personal consultation. 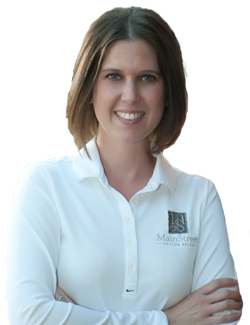 Q & A with MainStreet Client, Becky B.